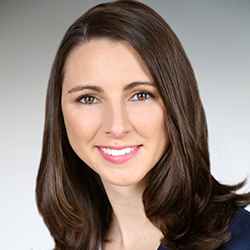 Jacqueline Campbell has been named a partner at Fowler Hirtzel McNulty & Spaulding. Ms. Campbell, who practices in the firm’s Philadelphia office, focuses her practice on the defense of commercial vehicle, construction accident and general casualty matters. She handles all aspects of litigation in significant matters, including jury trial and appellate work. Ms. Campbell also works closely with major retail clients in defending a variety of in-store claims and developing strategy for risk management and employee training issues. Ms. Campbell is a graduate of the Drexel University Thomas R. Kline School of Law and received her undergraduate degree in Biological Sciences from the University of Delaware. She is a member of the Temple American Inn of Court and licensed to practice in both Pennsylvania and New Jersey.